It is done. My Bishops’ Advisory Panel is over. It was quite an experience, quite a week. There are many people’s experience of a BAP that can be read, many practically focused, some even dealing with the pain of not being recommended. This is my account of my experience; an account of the emotions, fears and joys that someone has and can go through and that needs more words than other types of accounts of going to a BAP. So if you’re willing and ready, read on! The tension and nerves built up over the weekend before I left for it. Yet despite this, it had been a surprisingly relaxing weekend. My intention to read more, to think more, and to write more notes in attempt to lodge thoughts in my consciousness, it all fell to the wayside. Instead I was spontaneous. Instead I spent time with my wife, with my children. We swam, we played, we laughed. We were family. We were all awake in plenty of time on the day my Bishops’ Advisory Panel began. One more moment as a family before I set off to seek my fate. We ate, my son got dressed for school, my daughter for a day with her Granny. I was going to miss them. As I waved my children off to school and was alone, the sick-feeling in my stomach went. The nerves were replaced with excitement and peace. It felt as though the hardest part was over. Travelling by train had been recommended by several others that had been to a BAP, and for those travelling long distances it makes sense. Having booked my tickets in advance I was able to find trains where going First Class didn’t cost much more than Standard Class. It was worth it: the free drinks and food brought to me, the extra space, the more comfortable seats; they all helped me to relax as the countryside passed by beside me. I had great intensions of reading through my paperwork as I travelled, or to read yet more books of theology and ministry. It didn’t come to pass. Instead I found myself with my laptop in front of me, watching interviews and talks given by Kay and Rick Warren. In the talks they gave at the HTB Leadership Conference this year, Rick & Kay Warren spoke of being close to God, of crying out to Him in pain and anguish, of loving the church, of hope and of purpose. It was the perfect preparation for the BAP. No intellectual explanations but passion, for God, for the church, for the needy and the unreached. It was stoked the fire. My passions for God, justice, unity, the forgotten and overlooked all came to the surface and took me back to what this whole journey of discernment has been, or seeking to serve God in whatever way He sees fit. Bit by bit I got closer to Ely, the location for my BAP. There was no rush, nor any stress. I had deliberately chosen a set of train journeys to get me there with ease by lunchtime. As people ran for their connecting trains I sauntered across London and onto my final train. Just as casually I toed my suitcase from the station to Bishops Woodford House, leaving it there before eating lunch beside the cathedral in which I had sung 30 years previously. As I sat gazing at the stone and glass constructed by people over centuries, the synchronicity of my journey felt good. God had been at work in their lives and their love for Him had shown itself in part by the super-human efforts it had taken to build such a piece of worship. My journey paled by comparison. The BAP would be but one small step in a journey of obedience, one that would hopefully honour God like those who had laboured to build the church before me. A friend about to complete his ordination training came up from Cambridge to pray with me before the BAP began. It was one of many demonstrations of love and support. So many tweets of support and prayer were sent to me as I travelled to Ely that I stopped counting them. My church was praying for me, even my non-Christian friends were supporting me in their own particular ways. It was incredibly humbling and encouraging, and if someone could succeed through good backing I would have excelled. That would miss the point of it all though. It was about God and me, could I be obedient to Him no matter what I faced at the BAP and no matter what the recommendation would be? It was time to find out. The BAP began with the prerequisite ice-breakers, although these were focused not on our personalities but on our church background. It became clear that most were from quite a different church background to me. Interestingly the few of us that came from evangelical churches seemed to downplay our background whilst the higher and more Anglo-catholic was very much in evidence. It was, perhaps, not surprisingly given some of the recent and regrettable mishandling of events by a number of evangelical organisations. The head of the BAP was very precise and purposeful. There was no exchange of warm fuzzy feeling given, we were there to be tested and the advisers were there to test us. They were taking their role very seriously. Still, I couldn’t help myself from rebelling from such seriousness in the personal inventory that followed. When asked what I would want written on my tombstone I shamelessly copied what Spike Milligan had had written on his and wrote “I told you I was I’ll”. The personal inventory was the BAP’s attempt at seeing what we would write under time constraints. We had 40 minutes to respond to a series of questions based on the selection criteria, grouped into the 3 collections that would be questioned further in an interview setting, namely Vocations, Pastoral and Education. There was no time to polish our answers, to write perfectly nuanced sentences that might hide the truth within us, and that was precisely the point of the exercise: gut reactions, instinct, our core beliefs, all exposed, or not as the case could equally be. Supper followed and my first chance to tackle one of my fears, one of the advisers that would be interviewing me. He was the one that interviewed curate at my church. Their backgrounds and personalities clashed, and it had felt like a disaster for my friend even though it turned out the adviser had recommended him. I knew that if I didn’t face up to the fears of a similar experience that my interview with the adviser would be haunted by them. Purposely I sat at his table and began getting to know him, began getting to soften any barriers that may exist within each of us. It worked, as the BAP went on our conversations continued and I found that not only did I warm to him but I enjoyed the opportunities we had to chat. After supper the Pastoral Exercise was given out. It wasn’t something I feared, not out of arrogance but of a confidence in my own ability to empathise and write accordingly. It is a fine line between the two and the nervousness that was within me told me I was on the right side of it. As I scanned the piece of paper detailing the situation we were to address I felt tremendous relief and blessings: it was on an issue I had experience of at various levels, one which proved to be a double-edged sword. On one hand I could draw upon the pleasure and pain I knew associated with the issue; on the other hand writing the letter responding would be particularly emotional. After a service of prayer in the chapel on site we all retired to our rooms. No one had the energy or peace to go to the pub. Some went to their rooms to begin writing their response to the Pastoral Exercise whilst others, like me, went to prepare for giving their presentations the next morning. I didn’t sleep well that night. I took a long time to settle and was woken several times through the night. Still I arose early so I could ease into the day and being observed at all times. I was one of the last to arrive at the Holy Communion service that marked the start of the official timetable for the day. Quietly sitting myself at a pew I took the holding-cross in my hand and began to focus on the God that had brought me to this place. The presentations that followed breakfast proved to be a comforting and bonding experience. Each presentation was on a different topic, and each one was received with attentive ears and supportive discussion. There were no egos on display, simply 8 people touchingly presenting their topics. I was disarmed by the assessor’s time keeping which seemed to speed up time as I gave my presentation and led my discussion, but it was a pleasurable morning. I had taken the opportunities the evening before and during the presentations before mine to assess my groups personalities and characteristics. I had identified the quiet ones and the ones who might identify with my topic: the Parish of Social Media (I intend to publish my presentation script at a later date). It helped me to direct the start of the discussions towards someone who would respond and start the ball rolling. Likewise it helped me to stop some from talking so that I could invite those who would otherwise say nothing to add their thoughts to the mix. Lunch marked the point at which the BAP’s candidates timetable diverged. The remaining 26 hours would consist of our 3 interviews and time to work on our pastoral letter, to pray or simply to relax. With 2 hours before my first interview I set to writing my letter in response to the issue outlined in the Pastoral Exercise we had been given the night before. The words came easily, although at an emotional cost and I was glad of the privacy of my own room in which to write and recover. There was no pressure put on people to group together on excursions into Ely or into conversations within the gardens of Bishop Woodford House. Each candidate respected each others space and needs. People came and went as they saw fit. Eyes were not batted as people left group discussions abruptly in order to be alone. Our paths simply crossed occasionally and we seemed mutually glad of such occasions. My 3 interviews were quite different. My first, on the criteria grouped together as Vocation, had a feeling of space. The adviser’s notes written as a result of reading my paperwork and Personal Inventory formed the basis of the questions. With each question asked I was given time to breathe and think. There was no pressure put on me to respond quickly, and that lack of pressure helped me to respond more freely and with greater articulation than if I had been hurried. I left feeling at peace. My second interview, my ‘Pastoral’ interview, was late at night and was a relentless series of questions that felt quite brutal. There was little time to breathe between them, they came quick and fast. Yet I was able to see that the questions were split into those simply adding some context to the knowledge the adviser had gained from my paperwork, and those questions seeking to probe deeper into the person the paperwork had revealed. I left feeling like I had gone several rounds with a boxer, admittedly a kind and well intentioned one. 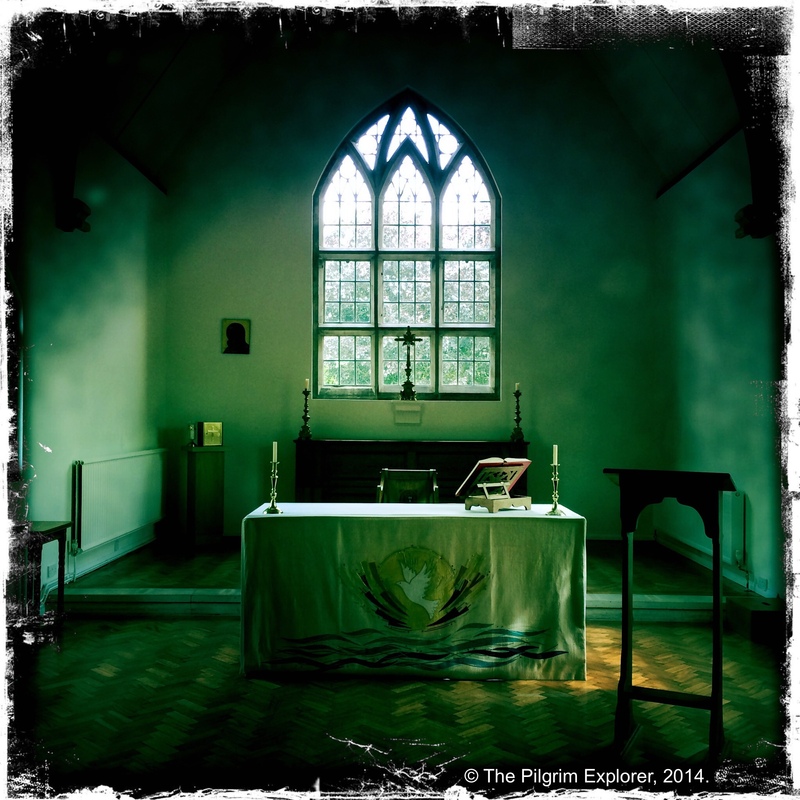 The service of prayer and pub visit that followed were welcomed opportunities to recover from it. Upon returning to my room I needed time to settle my thoughts before attempting to sleep, so it was quite late when I did eventually turn off the light. Whilst I slept better than the first night I did not sleep for long. Again I was up early so I could spend sometime easing into the day before venturing down to the morning’s Holy Communion service. 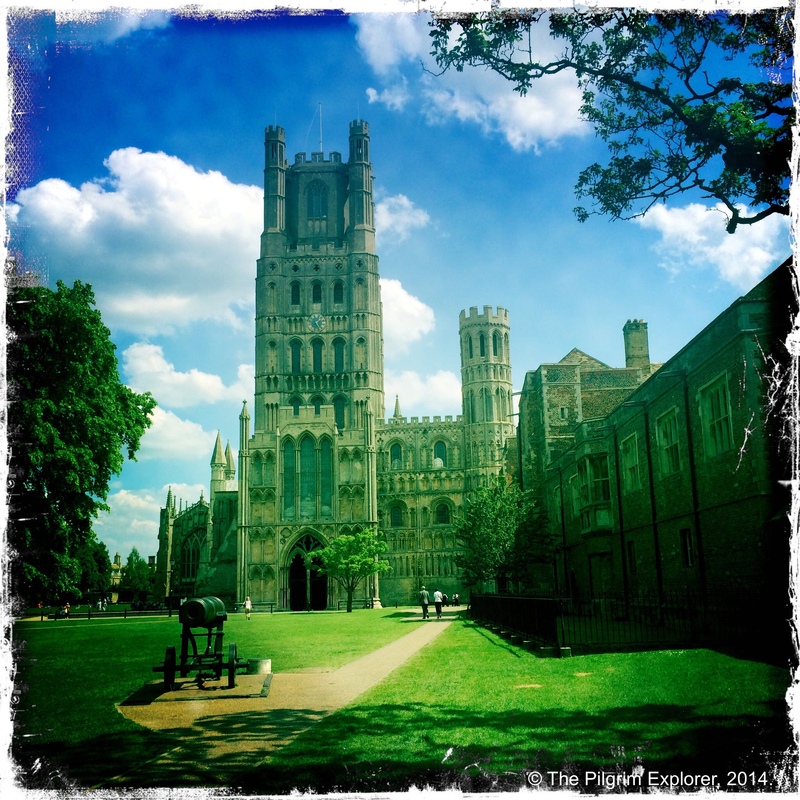 I had intended to spend the morning in prayer at Ely Cathedral. Instead I gave into a spirit of spontaneity and joined a group being guided up to roof of the cathedral’s Octagon’s tower. It was a useful and inspirational distraction, once more getting close to the work of those that had gone before me in their worship of God. It also took me away from a temptation from continuously editing my pastoral letter which I had briefly revised after breakfast. 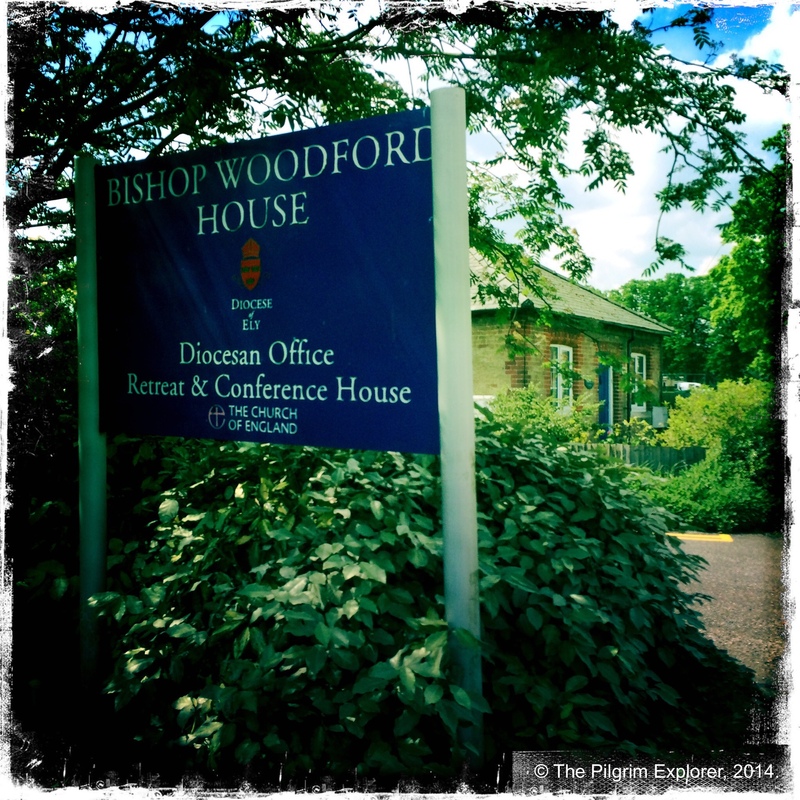 Instead I returned to Bishop Woodford House and had the letter printed before my final interview. My third interview was the one I feared the most because it was with the adviser who had interviewed my friend. My purposeful attempt to dismantle the preconceptions I had developed bore fruit, the interview felt more like a conversation and I was surprised, and saddened, when the time was up. I wished it could have continued for much longer. All that remained was one final meal and one final briefing by the head of the panel as we handed in our pastoral letter. Again he was very precise but that precision left me feeling cold and frustrated. There was an adherence to the system that was bureaucratic and held no room for common sense or personal circumstances. Due to the late notice of the date of my BAP my safeguarding clearance certificate (currently known as a Disclosure and Barring Service or DBS certificate) had come too late to be sent with the official paperwork. I took it with me to the BAP but my offer to show it to the head of the panel was refused. It means that if my Bishop is recommended to send me for ordination training it will be a conditional one, conditional on my DBS certificate being seen. We were advised to spend time thinking over and discussing our experience of the BAP, and of the wider and longer discernment process. It was an encouragement to separate our feelings of the process and of God’s calling on our lives from the discussion that would follow in a week or two’s time. The decision we would each receive might not be the one we wanted, but we would need to come to a position where we could trust that God had engineered the correct decision through the advisers. Trusting that the advisers have made the correct decision will be much easier to do if they make the decision I want to hear. They are not infallible and mistakes can and have been made. Maybe it was a moment of timing but the Archbishop of Canterbury Justin Welby was not recommended to be trained for ordination at his first BAP. I liken the advisers of that BAP to the music industry’s executives who failed to sign the Beetles, but perhaps they were right in their decision, perhaps it was a matter of the timing not being right for Justin Welby. Whilst most people scattered quickly after the final cups of tea and coffee were drunk, 3 of us remained. We had the furthest to go and would each be travelling late into the night but our timetables meant that we had no need or cause to rush off. Instead we talked and shared more of our experiences. It was a helpful transition to leaving Ely. I was glad of the time alone, of being able to simply watch the countryside pass me by. I had no energy to do much more. Much as I tried to watch a film or write down my thought I could not concentrate on any one thing for long. My mind wasn’t going over the things I wish I had said for I knew deep down I had said what needed to be said. My mind was simply quiet and resting. In the days that followed I was, as many had predicted, exhausted. In truth, most of that was simply down to the lack of sleep before and during the BAP. Although I had the luxury of the rest of the week off I wasn’t able to have a lie-in, the children still needed to be taken to and collected from school or nursery. Emotionally I ended the week at peace. I had, despite my expectations, enjoyed my BAP. The support I had was phenomenal and I never felt like I was alone. The peace and sense satisfaction with how things went are things that I will need to hold on to, especially if I am not recommended for training. If I am recommended there will be little time to think about it. Accommodation, schools, and nurseries need to be visited and secured within the space of a few weeks. A day for soon-to-be ordinands awaits at the college I have chosen to attend. Even though I have spent a long time preparing for a change to my and my family’s life, the time to reflect on the realisation of a change of life coming upon my family will have to wait. If I am not recommended for training the time to reflect can start straight away, but will take much longer. I am grateful that, should I find myself in such a position, I have the distraction of finding somewhere for me and my family to live – the house sale is going ahead no matter what! What is certain, whatever the recommendation, my life has changed as a result of this discernment process. It can’t be allowed to return to how it was before. Life will change, the coming week will reveal the direction of that change. 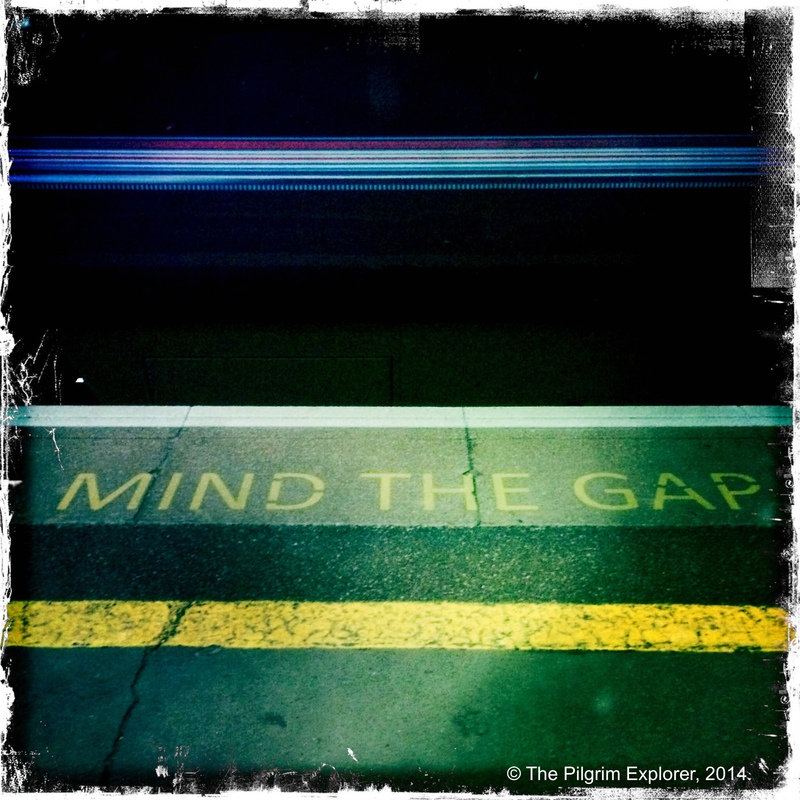 You may find this blog post of attending a second BAP helpful. If you are interested in other people’s experiences of a BAP, including those who have not been recommended, click here. Thank you, as ever, for honesty and humour! Your reflections take me back to my Selection Conference at Glastonbury (14th-16th July 1997!) and the notes I wrote in my Journal at the time (long before I started blogging). I had to wait 10 days for the answer, which was a Conditional Recommendation, and couldn’t actually tell anyone for another 10 days or so after that! So I wish you strength and peace in the waiting… and now I’ve found out 2 names of people I went to Conference with I’m wondering what happened to them!